Here is the full all-time favorites list from our most recent Podcast. Thanks for listening! We are back. This time we’ve come back by way of a Podcast. Here, I am going to post the track listings for each episode we release. Be sure the search and subscribe to us on iTunes to get our episodes as they post. We’ve gotten really good feedback from episodes 1 & 2 and cant wait to share more with you. Below I’ve embedded a Spotify playlist from Volume 1 of ThePrintSLC, the Podcast. Enjoy! Today I bring to you, Surfer Blood. I think the reason why I like them was because they made me feel like I’ve been transported to the California coast. I can almost feel the ocean breeze flowing through my hair as I listen. The distinct California surf vibe they give off is actually kind of interesting considering that they aren’t even from there. They hail from California’s step-sibling on the eastern coast, Florida. The bands’ two integral founders met in high school and began playing together before officially taking on the name Surfer Blood in 2009. They made waves fast, however, in 2010 they had already released their debut full-length album Astro Coast. The band gained a decent sized following, and within a year signed to the prestigious label giants Warner Brothers. I totally understand why the public would rally behind them. It may just be a theory, but I feel that everyone wants to feel like they are in California without the hassle of actually traveling there, braving the crowded beaches and bumper-to-bumper traffic. So, if you can get a little taste of that coastal feeling simply by plugging in your headphones, why wouldn’t you? You can feel the surfer blood in your veins from the comfort of your own couch. The story doesn’t end there; they kept going releasing an Extended Play (EP) titled Tarot Classics in 2011 and another full-length album, Pythons in 2013. The band continues to gain a following to this day as they recently released a third full length album titled 1000 Palms just a week or so ago. With this album, the band ditched the major record label and returned to their roots with a self produced lo-fi sound similar to that of their acclaimed Astro Coast LP. I strongly encourage everyone to check these guys out, their music is available on iTunes and Spotify. Perhaps start with my favorite tracks “Floating Vibes”, “I Can’t Explain” and “Demon Dance”. You won’t be disappointed. Or, you could check out one of their live performances, as they will be making a stop in Provo in mid-June as part of their summer tour. 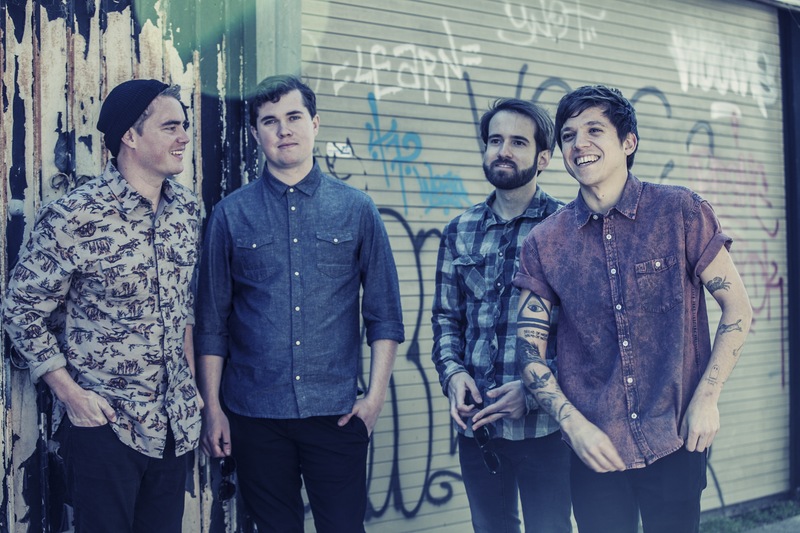 One more thing, Surfer Blood’s guitarist Thomas Fekete, was diagnosed with a very rare and aggressive cancer (a sarcoma), and had to drop out of touring, thus making him unable to earn a living to pay the very expensive hospital bills. The other band members have done all they can, but the bulk of the medical bills were going to go unpaid. A GoFundMe page was set up to help pay those bills. I will include the link below in case you all want to donate to help him out.